In a swift departure from the affordable Chromebooks by Google’s partners, Google has announced its own Chromebook called the Chromebook Pixel. Featuring premium specs and a matching eye-watering price tag, it’s a far cry from Acer’s $199 Chromebook that was announced in November, and still close to $900 more than the previous most expensive Chromebook by Lenovo. So what does the premium price tag entail? For starters, the Chromebook Pixel has a super-sharp 12-inch 2560 x 1700 resolution that is also touch-enabled. At 239 ppi, Google claims it is the sharpest screen on any laptop screen in the market today (they’re looking at you, Apple). Interestingly, the anodised aluminium body and glass touchpad bear more than just a passing resemblance to Apple’s Macbook Pro. All vents are hidden and the speakers lie beneath the backlit keyboard on the Pixel. In addition, the Pixel now comes with an Intel Core i5 processor buzzing at 1.8GHz and 4GB of RAM. There’s also two storage options: 32GB or 64GB SSD. That is very much on the low side, just like the other Chromebooks in the market today. However, unlike the 100GB Google Drive cloud storage that the company allocates for the other Chromebooks, the Pixel comes with a staggering 1TB of cloud storaage. Aside from that, the Pixel has two USB 2.0 ports, a microphone/headphone combo jack, SD card reader, WiFi, Bluetooth, as well as a three-mic array for noise cancellation. The 59Wh battery is rated for five hours of use. Unfortunately, there is no Ethernet port; however, there’s is an LTE model which will be available from April at a cool $1449 (RM4492). The WiFi only model is available now at a similarly princely sum of $1299 at the Play Store. 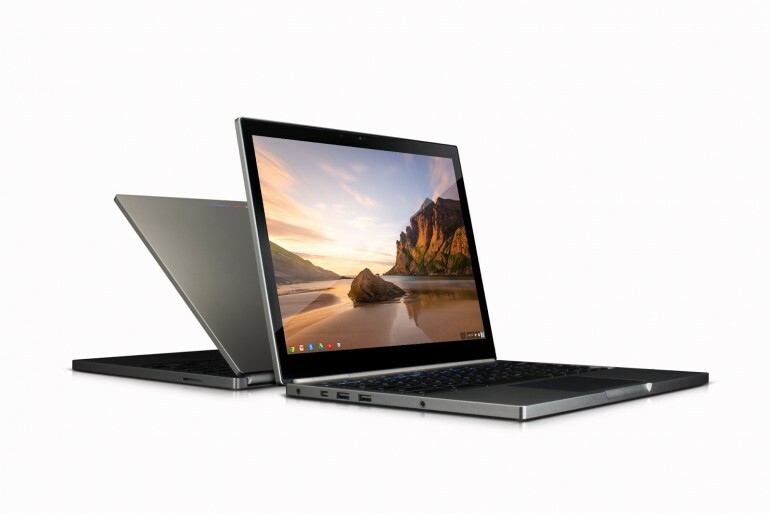 As with all Chromebooks, they unfortunately will not be available officially in Malaysia.